Vintage bottles are delightful. 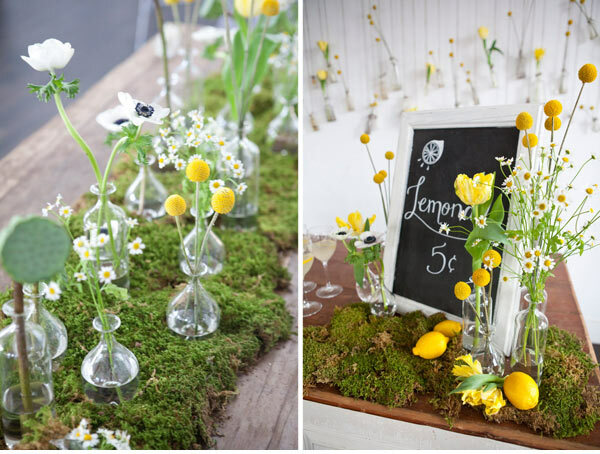 They can be used to create miniature arrangements or centerpieces at your next dinner party. 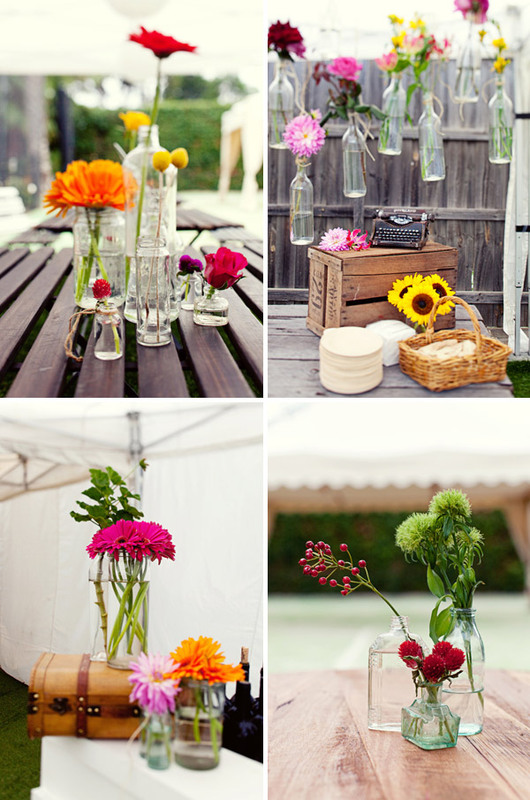 Hang the bottles from twine or fishing wire to create a hanging piece of artwork. Versatile, they can be changed out depending upon what's in season in the garden. They are also a great way to reuse a an old piece from days past. it's a lovely way to present flowers. fun post!